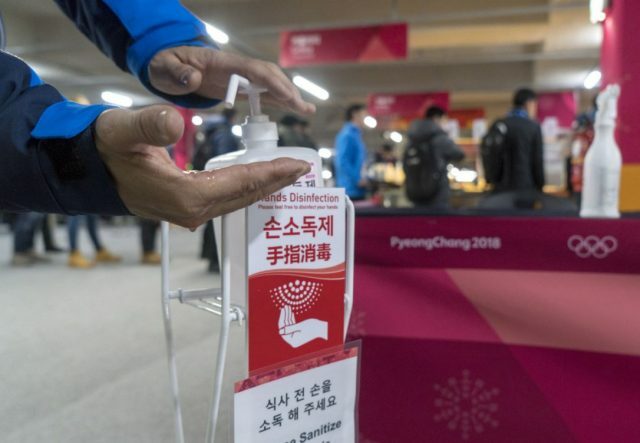 Two Swiss freestyle skiers have become the first athletes to contract the norovirus during the Winter Olympic Games here, it has been announced. A spokesperson told Reuters one of the competitors to have been hit by the virus is Fabian Bösch, slopestyle world champion in 2015. The other has been named by Swiss media as Elias Ambuehl, a three-time Winter X games medalist. More than 200 people have suffered from the norovirus, which caused vomiting and diarrhea, at Pyeongchang 2018. The outbreak was initially confined to security staff before it spread to those working for the Organizing Committee. It has now reached the athletes, although International Olympic Committee Presidential spokesperson Mark Adams has confirmed neither athlete staying at the main Athletes’ Village. Their accommodation is located at the Phoenix Snow Park, where freestyle skiing and snowboarding events are taking place. In a statement, Swiss Olympic confirmed two cases but insisted they were no longer showing signs of the virus. “The victims were immediately accommodated in a single room and had no contact with other athletes,” the statement said.